The history of Forex.ee starts in Estonia back in 1998. At the very first stages of Retail Forex developing into a massive sector of the financial industry, two enthusiasts decided to try their chances and used their capital to master the art of trading foreign currencies. After the initial success, new people joined in to perform trading-related tasks. Drawing on experience gained in these early years, the company started offering brokerage services to the local Estonian public. This is how Forex.ee was established. By as early as 2001, in search of modern technology solutions, Forex.ee was outsourcing the development of its own trading platform oriented towards the trends and demands of the international market. Subsequently, the company introduced MetaTrader 4 platform, which had already proved itself as one of the most functional platforms of that time. Focused on providing professional and technologically advanced solutions, Forex.ee has approved itself as one of the most reputable Forex brokers of Northern Europe by 2005, when our partnership program was introduced to the audience. Since 2013, the company adopted the use of authentic ECN/STP technology, which contributed to the transparency of all internal processes at the company and served as an additional indicator of broker’s reliability. At the same time, we added more currency pairs to the list of available instruments in order to fulfill the requests of broader opportunities for diversification. It was around that time the company started branching out to attain the status of high-end international ECN brokerage. Our success followed shortly proving that individual approach to each client and uncompromisingly high standards applied by us are still vastly demanded in the ever-evolving Forex industry. After successful redesign in 2014, the company presented its new contemporary website offering more convenience and modern simplicity in course of cooperation with clients. In 2015, Forex.ee launched Crypto accounts based on ECN technology and Exchange-like execution. At the very same time, new personal area was introduced to clients and partners making it very easy to make deposits, withdrawals, internal transfers and track the partnership statistics. Shortly after, we added the Analytics section to our website in order to help our less-experienced customers to develop their trading strategies and make profit more consistently using the overview of our experts. Our selection of innovative trading accounts gives you access to global financial markets from anywhere in the world. Moreover, we are ready to accommodate traders of any caliber by offering only authentic ECN, STP and Crypto accounts. ECN technology eliminates conflicts of interest between a broker and clients, while delivering the valuable advantages of trading process, such as tight spreads, low commissions and Interbank liquidity. 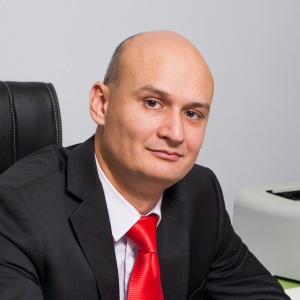 Vladislav was born on September 21, 1973 in Ulan-Ude and graduated from Tallinn Economics School in 1993 with a major in accounting. From 1993 to 1998 Vladislav was working in the real economy sector. It was in 1998 when he changed the main vector of his activity switching to Banking, Financial Services and operations on the Stock Exchange. Drawing on his early experience, Vladislav realized there was a market gap in the financial sector of his region, so he came up with an idea of setting up his own company. He summoned a professional team to create Forex.ee. Skillfull, hard-working and proactive, Vladislav is devoted to ensuring stability and economic growth of his company in the unpredictable Forex market environment.